Anthurium Festival 2010, a two day extravaganza showcasing the rich Mizo customs and traditions was inaugurated by the Governor Lt. Gen.(Rtd.) M M Lakhera at Reiek Tourist Resort, atop the vantage hill of Reiek Tlang, about an hour’s drive from the capital Aizawl. 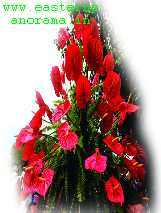 The Anthurium Festival is organized annually by the Tourism Department in collaboration with the Horticulture Department with financial support of the Central Government. It has a dual purpose – promoting the cultivation and marketing of the enthralling flower and attracting more tourists to the scenic beauties of Mizoram. The locale of the Festival is on a vantage hill-top on Reiek Hill at an elevation of 1548 metres, overlooking Aizawl and is in itself a crowd drawer, as from the top of the mountain one can have an unhindered 360 degree view of the surrounding valleys and hills; on a clear day the plains of Bangladesh can be seen from the top of the hill. Reiek Hill is surrounded by thick lush green temperate trees and bushes that echo with legends, folklore and feats of the Mizo chiefs from whom it was a hunting preserve in the by-gone ages. Legend has it that Van Indona or War of the Heavens took place on the hill top, where one can still see the fissures, cracks and wedges on the hill face. Inaugurating the Festival, the Governor spoke on the need for promoting the handloom and handicrafts and harnessing the floricultural and horticultural potential of Mizoram. The Tourism Minister S. Hiato who inaugurated the second day of the Festival stressed the need to market Mizoram as an eco-friendly destination and added that tourism holds great potential for Mizoram. The Festival showcased the rich and rhythmic dances of Mizoram – Cheraw, Sarlamkai and Chheihlam; Tamang Selo from the Gorkha community was also featured. Musical performances by top artists of the state and live display of Mizo culture in the form of a cultural parade were well appreciated. Visitors thronged the typical Mizo village near the venue which displayed glimpses of the lives of different communities in Mizoram – Lai, Mara, Chakma, Paihte and Brus in their traditional houses on stilts. 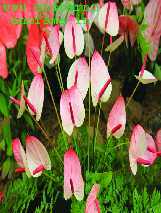 The crowds were awe-struck at more than 40 different varieties of anthurium flowers in hues of red, pink, violet, white, and green that were displayed by the Zo Anthurium Growers Society – an organization which has been at the forefront in popularizing anthurium cultivation. Fashion shows featuring creations by upcoming designers and by the students of the Women’s Polytechnic, Aizawl won the crowd over. The festival featured stalls displaying local handicrafts and handlooms, which were a hit with tourists. The information kiosk by Three Dimension Tour Operators had many visitors taking their brochures which featured their adventure tours - fishing, trekking, white-water rafting, rock climbing; eco-leisure tour; and the recently introduced paragliding package. Air-rifle shooting and archery competitions were also organized during the Festival.